A four-track album featuring Nicki Adams (keys, vocals), Hannah Selin (viola, vocals), Pat Adams (trumpet), Dan Stein (bass) and Moses Eder (drums). 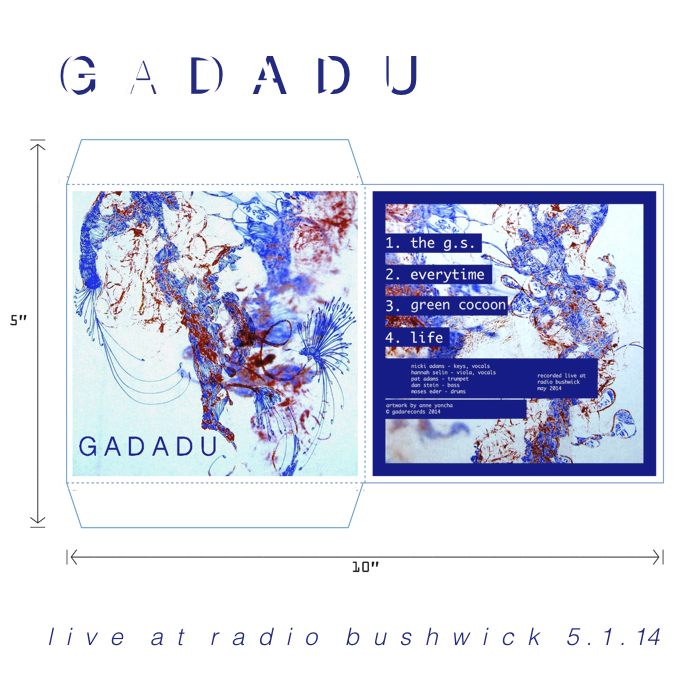 Recorded live at Radio Bushwick, 5.1.14. Prev Post: GADADU spring tour!